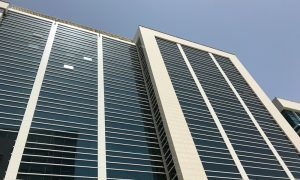 Mubadala Development Company increased its stake to 19% in California-based Advanced Micro Devices, Inc, a major producer in personal computer processors. In November, Mubadala took an extra board seat; they became AMD’s biggest shareholder in 2008. On November 7, 2012, AMD’s board of directors increased its size by one director and appointed Ahmed Yahia Al Idrissi, executive director of Mubadala Industry, to AMD’s board of directors. Mubadala was created in part to help diversify the economy of Abu Dhabi and the rest of the United Arab Emirates. In 2008, Mubadala bought AMD’s facilities to create Globalfoundries. Globalfoundries is a made-to-order semiconductor producer in which AMD is now of one its largest customers. AMD is suffering from a possible cash shortfall due to the competitiveness of the PC sector, market factors and the onset growth of mobile and tablet devices.